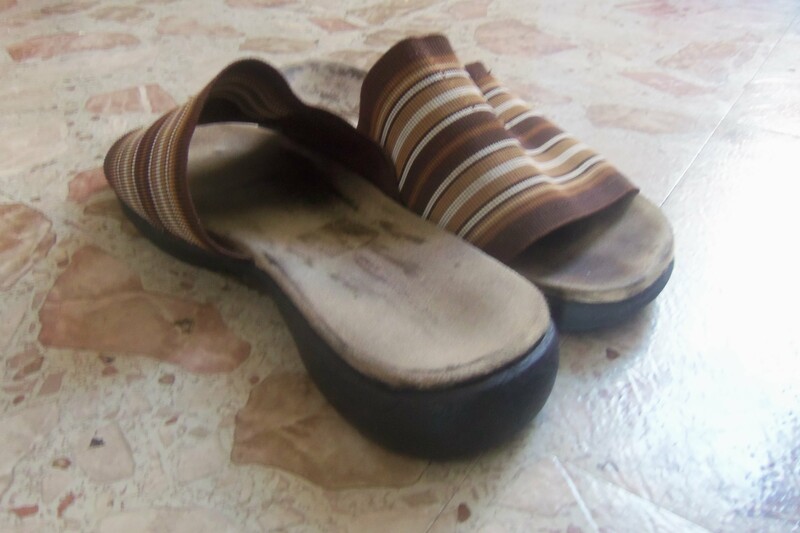 Recently a pair of old shoes that I was using as slippers fell totally apart, so bad that I tripped and nearly hurt myself a few times. After I chucked them into the garbage, I went into my room in search of another pair of old shoes to use. Well, I didn’t see any prospective choices at first. I just saw old worn sneakers with splits in them and a pair of overly worn pair of summer work shoes. But almost as soon it those words left my mouth; I realized how wrong I was. I instantly corrected myself and thought I don’t have nothing; I have a lot more than many other people. It is times like these that confuse and trouble those of us in the first world who are practicing gratitude. We are not rich enough to just go out and buy a new pair of shoes, but we have shoes. We are not rich enough to just go buy new clothes. We may accessorize to hide the micro holes and stains but we have many clothes to wear. I ran into this same problem last year as well. My spirit kept moving me to get a bigger apartment but I felt so guilty about it. Did I really need a bigger place? Shouldn’t I be grateful for the place I have? In the cozy apartment we had, the previous family fit 5 people in the same space we fit 3. And here I was looking for more. We already have so much more than many others, and yet we are conditioned to want more. How do you progress in the first world and not feel greedy? ← An eye for an eye….